The thing Eileen likes best about being a professional mortgage broker for over 17 years is being able to help people’s dreams come true. 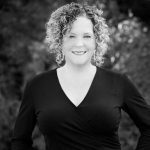 While Eileen’s passion, creativity and extensive knowledge of the industry are key to her success, it’s her unique personal approach that allows her to offer her clients financing solutions that they couldn’t get anywhere else and exceed their expectations. “As an independent DLC mortgage professional, my loyalties are to my clients first – not the bank. I work tirelessly to understand each of my client’s unique financing situation and ensure that I find the best possible options for them – which are often ones that that they may not have known about. Eileen offers a wide range of financing options for residents and non-residents across Canada and she will work tirelessly to ensure that each of her clients gets the best option for their unique financing needs. And, best of all, Dominion Lending Centres’ mortgage professionals work for you – not the lenders – to ensure you receive the best rates and products available in today’s marketplace. Whether you’re looking to purchase your very first home or upgrade to a new home, renew your existing mortgage, refinance your mortgage to free up some equity, purchase investment properties or vacation homes, or lease business-related equipment, Dominion Lending Centres has a variety of products available to meet your unique needs. Our mortgage professionals are experts in their field and many are ranked among the best nationally. Launched in January 2006, we were named Best Newcomer (Mortgage Brokerage Firm) at the prestigious CMP Canadian Mortgage Awards 2008 – the Oscars of the mortgage brokering industry.